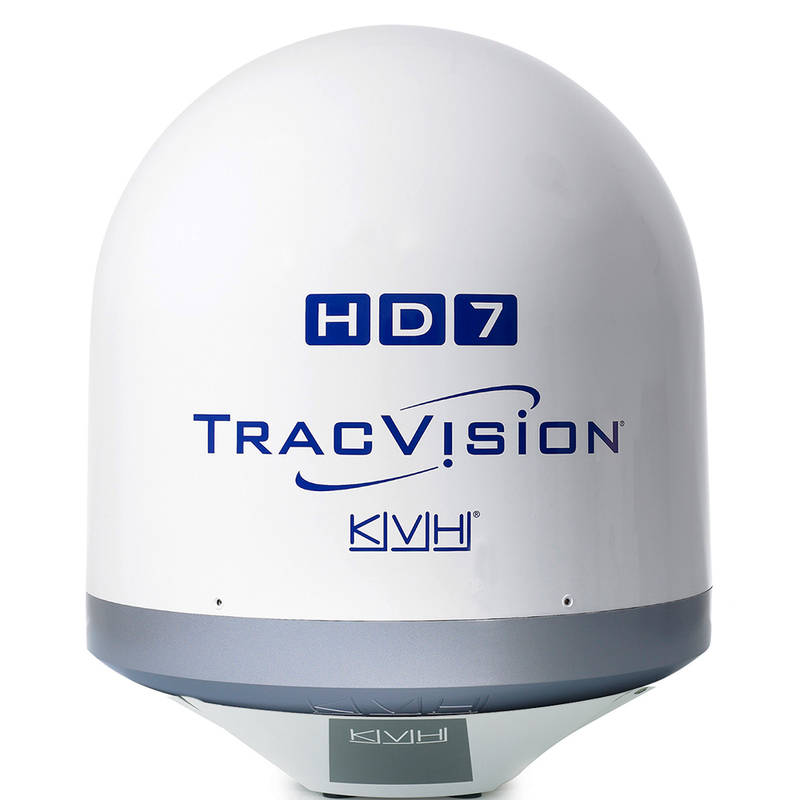 KVH's Tri-Rod Antella Design (TriAD) Technology - An inspired development in compact antenna design, the TracVision HD7 antenna simultaneously receives broadcasts from the three DIRECTV satellites. These signals are concentrated by the tuned subreflector before reaching KVH's unique tri-rod dielectric feed, resulting in reception as good as a home dish and outstanding tracking of programming broadcast by Ka- and Ku-band satellites, even as you cruise offshore. Watch, Record, and Replay with Full DVR Capability. Not only can everyone watch what they want on whatever TV they want, you can now watch your favorite DIRECTV programming whenever you want thanks to true DVR support. IP-Enabled Antenna Control Unit (ACU) and iPhone App - KVH's new Internet Protocol (IP) enabled ACU, with its Ethernet connection, built-in Wi-Fi interface, and USB port, makes system setup as easy as opening a web browser and maintenance as simple as plugging in a USB thumb drive. And with the exclusive KVH iPhone App, you can check signal strength, switch to secondary satellites, download antenna software updates, and send information directly to KVH techical support right from your phone!